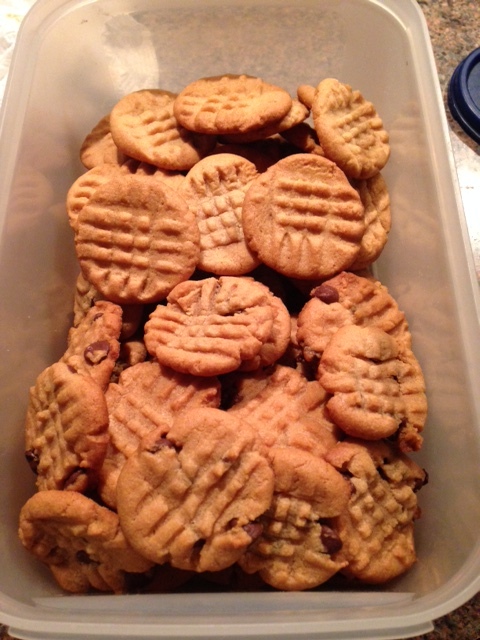 Ok….it was 4 ingredients for half the batch as I added chocolate chips to some. 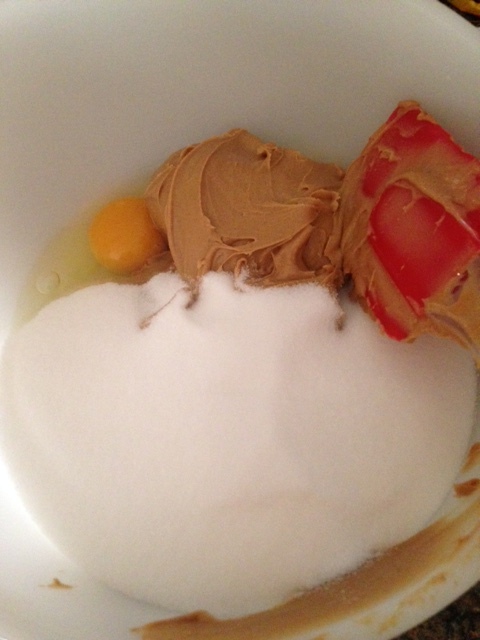 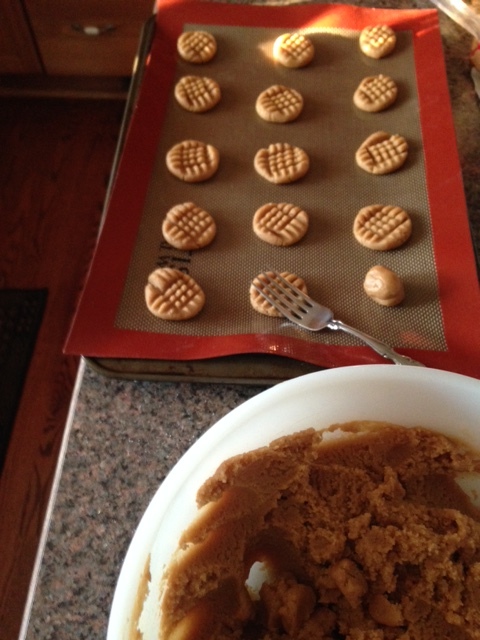 mix all until smooth, add chocolate or butterscotch chips if desired, form teaspoon size balls and press with a fork. 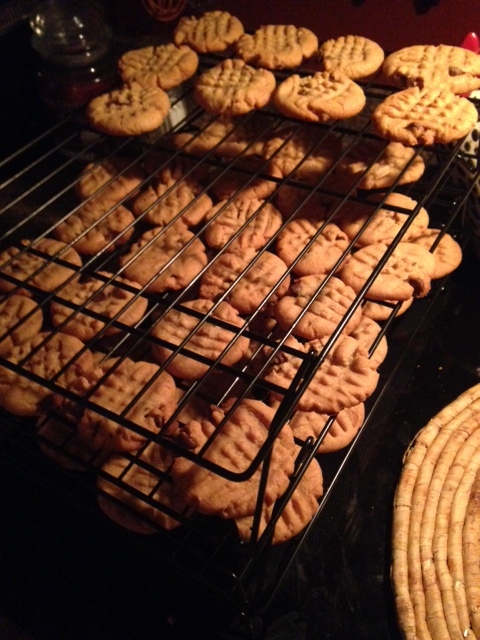 Bake at 350 for exactly 12 minutes and you have a delicious cookie. 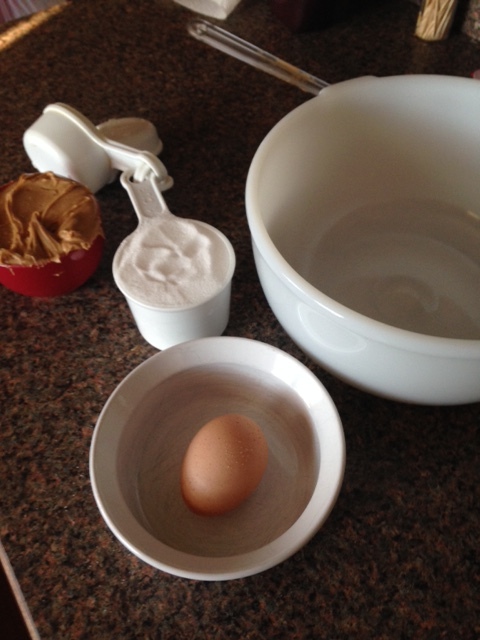 These are also gluten free!